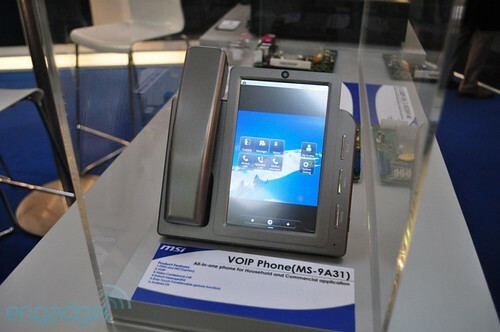 MSI demonstrated its new landline-VoIP phone MS-9A31. It’s based on Android and supports DECT, video conference call and instant messaging. The phone sports large color touchscreen, two Ethernet ports, one USB port and a card reader. No word on price or availability yet. The MS-9A31 looks very promised. It can be used not just IP phone in your home automation system but as control panel too. If MSI will allow to install third party applications it’d be the best phone for LinuxMCE (if the Android Orbiter will be released and the price won’t be too hight, of course). In any case, I think we’ll see similar devices from different manufactures soon. Digium recently released the final version of the module for integration Skype and Asterisk. The implementation is done as an add-on channel driver. The module allows to Skype-to-Skype calls as well as supporting SkypeIn and SkypeOut. Additionally it offers set and retrieve online status, trunk calls between Asterisk servers over Skype, make and receive multiple concurrent Skype calls from the same Skype account. The price of Skype module for Asterisk is $66.00 per channel. Personally I don’t see a big advantages of Skype over the SIP gates for voice calls. The SIP gates are cheaper and they give better voice quality. But the Skype module for Asterisk can be very useful in case of calling directly to the Skype accounts since Skype is a standard de-facto for business communications. In any case it’s good to have more choices for VoIP calls! VoIP comes to our offices and homes. It gives the cheapest way to communicate with business partners, co-workers, relatives or friends in different countries. But the latest tendency is to use mobile phone to talk via VoIP and not via GSM/3G. So, now many operators offer VoIP service for mobile users. How to get right one? 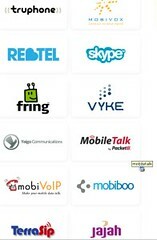 The new blog Mobile VOIP Review will help to do right choice. You’ll able to read news and review of existing VoIP providers there. Additionally there will be posted comments of real users of those services. 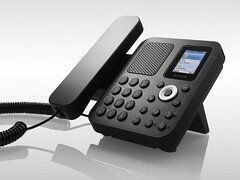 Belkin recently introduced its new Desktop Internet Phone for Skype which doesn’t need a PC for making calls. It features speaker, speed dial, call hold/release, call pickup/park, mute, redial, hold, call-timer display and contact list for comfort and productive work. Its contact list supports over 500 sets of Skype and SkypeOut™ contacts. The phone also supports SkypeIn™ – a personal and portable Skype number that people can use to call your Skype phone. The setup of Belkin’s Skype phone very simple. Just connect it to your router using WiFi or Ethernet and type your Skype username and password. The new Belkin’s Skype phone can be purchased in March 2008 at $99. So, if you works hardly with Skype don’t miss that date. Personally, I prefer more generic solutions offered some alternatives such SIP, GTalk, Skype or Gizmo in one. For example, I’m going to use my Nokia E65 make VoIP calls via VoipStunt (SIP protocol). In my mind Skype works unstable last couple of months and it’s expensive a bit (I mean SkypeIn and SkypeOut). In any case it’s just a matter of preferences. extending software by using SDK coming with device. 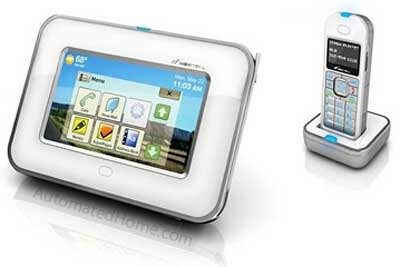 Westell MediaStation offers most needed functionality for home users together with portability and stylish design. If its price is reasonable, it may hit the market. P. S. The same things (except connection separate handsets) and more can be done with Nokia N800 and coming N810. IMHO Linuxbased Internet Tablet is better option.